Mr. Kleinman joined Hovde Group in 2014. As a Vice President in the firm’s Equity Capital Markets Group, Mr. Kleinman is responsible for equity trading, operations and market making of bank stocks. 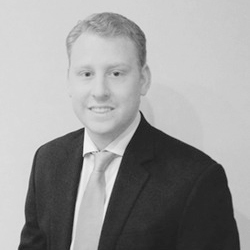 Prior to joining Hovde, Mr. Kleinman worked for an event-driven hedge fund based in NYC. His role included responsibilities as a trade assistant, risk management, and operations. Mr. Kleinman began his career at J.P. Morgan & Co. in the prime brokerage client services group where we served as a relationship manager to several of the bank’s hedge fund clients. Mr. Kleinman holds a Bachelor of Science in Business Administration from Villanova University and is a CAIA Charter Member. Mr. Kleinman is licensed with the Financial Industry Regulatory Authority and holds the following licenses: Series 7, 24, 55, and 63.